I was one of the internatioanl guests who participated in the Aprilfestival 2015 in Denmark. As a participant coming from ASSITEJ Turkey I had a chance to join the festival events, see various plays and meet different theatre makers from Denmark and other countries such as Finland, Sweeden, Cuba, Brasil, China, Korea and Germany. Aprilfestival takes place every year for a whole week in April in a different hosting municipality of Denmark since 1971. 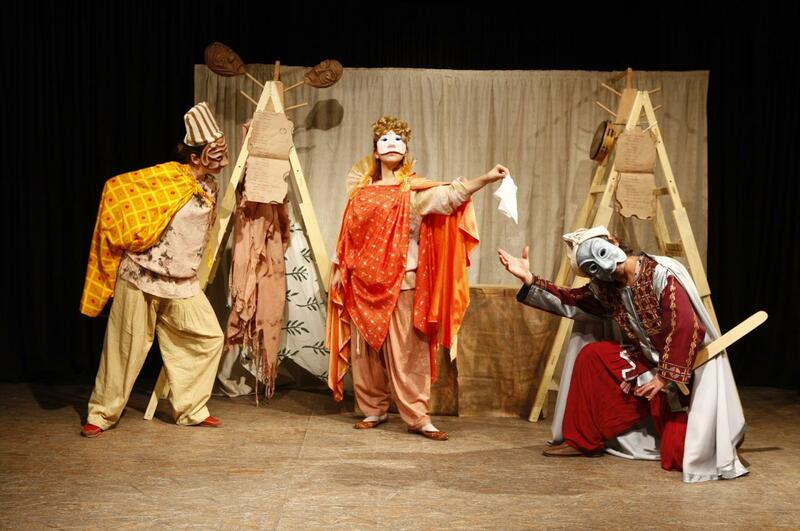 Today, Aprilfestival is known as one of the world's largest festival of theatre for young audiences. The Aprilfestival aims to present Danish performing arts for young audiences, create a cultural event with a focus on performing arts for children and young people, to raise awareness on the field and create spaces for networking and competence development. The festival is financed entirely by public means, which makes it possible to offer tickets free of charge. The basic funding comes from the local community, the regional government, the Ministry of Culture, the National Theatre Council and the Danish Centre for Cultural Development. Aprilfestival 2015 took place from the 19th to the 26th of April 2015 in the municipality of Frederikssund. During the weekdays theatre and dance groups performed in the different schools of Frederikssund. Around 250 shows performed in schools and kindergartens during school-time within the "non-public" festival-programme. Starting from Monday to Thursday I had chance to visit different schools in Frederikssund and to watch 10 different performances with the young audience. It was an important experience for me to watch these performances with the young audience in the schools because I was able to understand how children or young people reacted and participated to the performances and whether or not the performance was working with them. During the weekend - Friday, Saturday and Sunday, April 24th-26th- about 100 theatres were represented at the Aprilfestival 2015 in Frederikssund with up to 200 different performances. All the plays were performed publicly for children, young people and adults living in Frederikssund and coming from other parts of Denmark. I was able to see 7 different performances during the weekend public programme. Uppercut Dance Theatre was founded in 1982 and it performs shows for all ages on their own stage and goes on tours in Denmark and the rest of the world. Uppercut Dance Theatre’s style lies at the intersection of poetic modern dance, acrobatic break-dance and humoristic physical theatre. It is a multi-cultural company consisting of eight dancers with different backgrounds from Denmark, Filipino, Turkey, Italy, Ivory Coast, America and Venezuela. During the festival I had seen three different performances from the group: I am, 360° and Body Parts. All of the performances were designed in the form of dance theatre and based on the story telling with a concentration on movement and variety of psychical expressions. I am is inspired by Lewis Carroll’s Alice in Wonderland and Uppercut Dance Theatre adapted the story as ‘‘an adventure investigating identity’’. 45 minutes long performance starts in a warm and thoughtless summer day. Alice falls down through the hole for a long time, and ends up in a mysterious land. A land where anything can happen; an adventurous and strange world populated by the weirdest beings, created in the deepest corner of her consciousness. She easily gives herself away to this world, without thinking of what the meetings with these weirdoes will do to her. The fun becomes serious and plays turns into consequence. She must struggle to get free again. Audience is invited to the struggle of Alice and her exploration of who she really is. During the play, a female dancer performed Alice and four male dancers performed the numerous beings of the mysterious land. Alice’s struggle also becomes visible as woman trying to ‘‘survive’’ in a masculine world. Moreover, all the encounters she involves in Wonderland makes young audience to think on power, competition and rivalry and how love and pleasure experienced. I would also like to note that unlike the Alice in Wonderland adaptations I have seen on theatre and cinema so far, Uppercut Dance Theatre created a mysterious and adventurous world on the stage using only the language of movement and dance. The costume and scene design was simple, symbolic and practical however the way the dancers use their body and relate with each other was the main and strongest element of the performance. 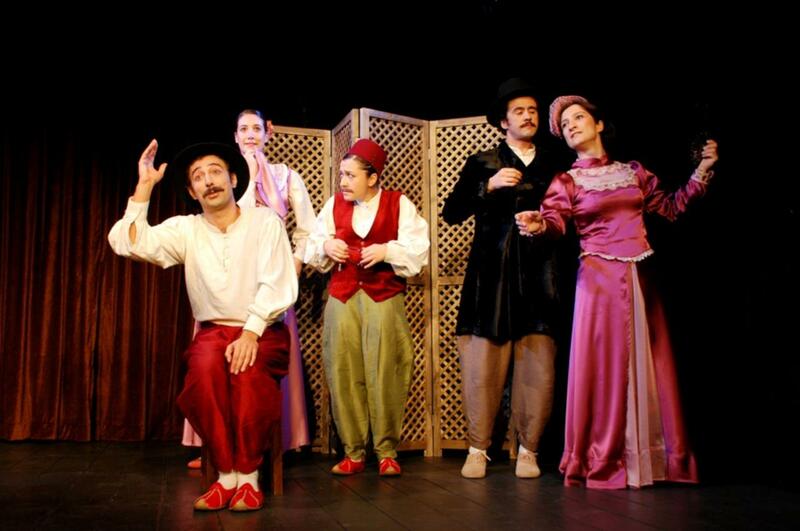 Batida is a touring theatre ensemble consisting of ten musical actors, one technician, and two managing directors. Since forming in 1985, the group has developed a theatrical form in which live music, movement, and dance are vital elements. Over a period of time, the group has acquired its own characteristic expression, alive and rich in imagery. Apart from playing approximately 150 shows yearly all over Denmark, Batida also tours abroad, and in recent years they have played in 40 countries. Batida presents shows for audiences ranging from 2 year-olds to young people and adults. 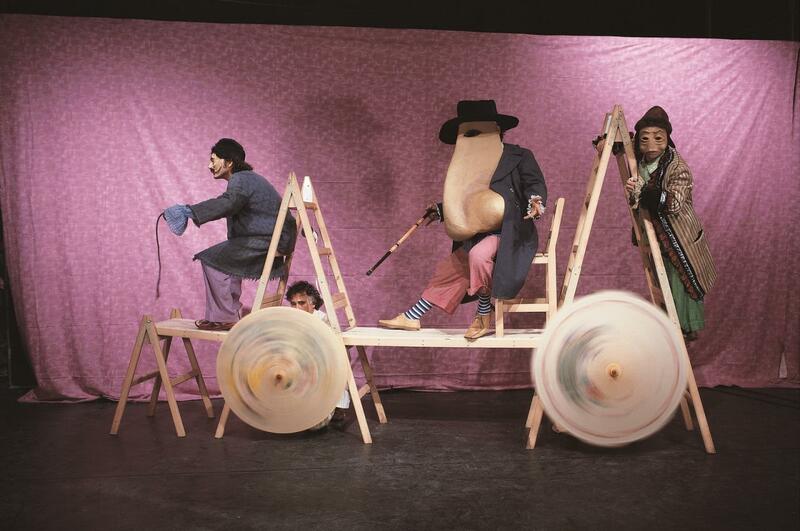 One of the things that exited me about Danish theatre for children and youth was the themes chosen for plays. Most of the plays I saw were concerned somehow about the experience of being a child or an adolescent. These experiences are staged not in a conservative or a moralist way but with a multi-dimensional manner. To show this I would like to mention two of the performances I saw. Meridiano was founded in 1996 by Italian dramatist and director Giacomo Ravicchio and actors Elise Müller and Lars Begtrup. Meridiano define characteristic of their performances as ‘‘magical realism, poetry, humour and a visual – almost cinematic – narrative form’’. 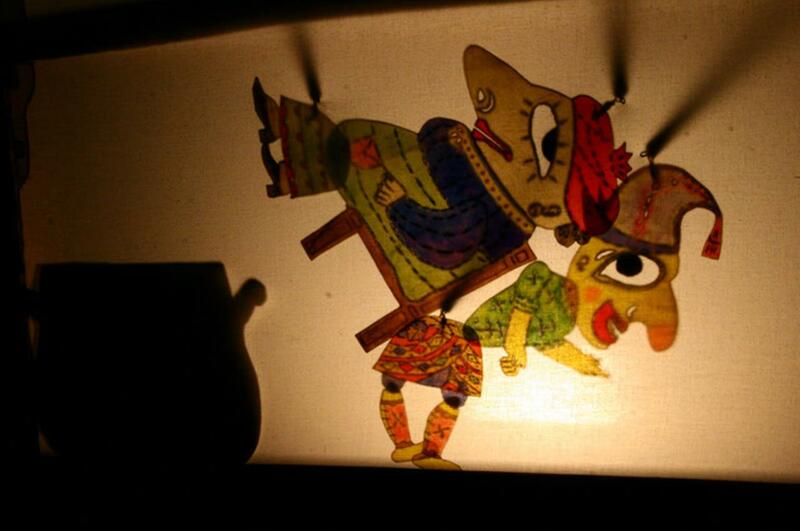 Paper Moon is a visual narrative in which the possibilities of puppet theatre are used in a creative manner. Play begins in a litte Elliot’s bedroom. He is very much awake when he should be asleep. Elliot has a goldfish, a tiger and a lion made of plastic. He also has his favourite teddy bear who understands him and follows him wherever he goes. He also has a lot of books. Elliot loves his books. He can’t read any of the words in them, yet, but he can look at the pictures and these take him far, far away - to a world where, maybe, he can find someone to explain to him why his mother and father have decided that the three of them should no longer live together as a family. Elliot does not understand why adults divorce and somehow accuses himself. Paper moon shows him there is no need for being guilty and tries to help him how to live with it. The story of Elliot was about a shared experience that children may encounter in their lives and the way Meridiano designed and staged it results in children’s empowerment. ZeBU creates professional theatre, which is accessible to children and young people aged between 13 and 16 years old. Their main idea is that ‘‘children and young people should think that it is fun, cool and exciting to go to the theatre and for them to feel the experience is worthwhile’’. True Confusion (Sand Forvirring) is a dance performance about children transition from child to teenager and paradoxes of this experience. The performance is about a boy and a girl who discover their ‘‘gendered’’ bodies and how this transition affects their friendship. These two teenagers also question the truth and rules created by God, parents and authorities and what happens when they disagree. Performers use dance in order to create a physical, challenging and playful stage language, which is derived from teenager’s widespread experience. Being in Denmark, attending the Aprilfestival 2015 and understanding how children and youth theatre is develeoped in artistic terms and as a profession became an important and inspiring experience for me. As a professional working in the field of youth theatre in Turkey, to be able to observe what kind of plays are produced and staged for young people was very benefical for me. 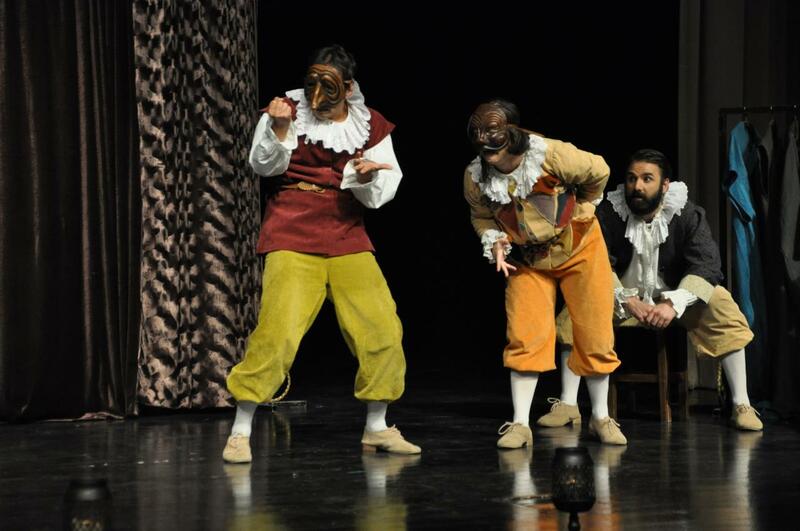 In Turkey’s context, where so few theatre companies work on youth theare, how to communicate with young audience is a matter of artistic and academic field of study that should be developed. I believe having a chance to discover Danish theatre for children and young people was an important step for me during this process. I would like to thank ASSITEJ Turkey and all my collagues in Denmark who made it possible. * Duygu Dalyanoğlu began her theatre career in 2004 at Boğaziçi University in Istanbul, Turkey. She had worked in the field of theatre during her university years and she is working as a professional since 2009 as performer, playwright and director in Boğaziçi Performing Arts Ensemble (BGST). 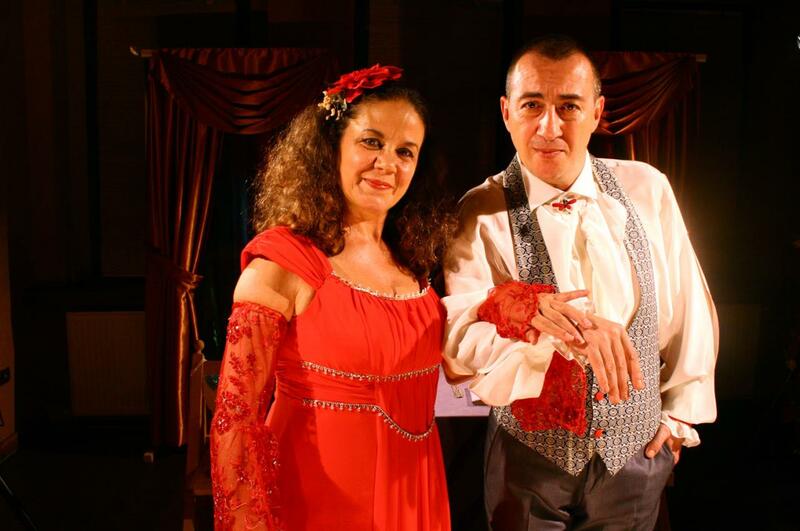 She took part in BGST’s youth theatre play series in which Moliere’s, Shakespeare’s, Musahipzade Celal’s and Federico Garcia Lorca’s life stories are staged in a documentary theatre form for young audiences. BGST is a member of ASSITEJ Turkey since 2014.